The global financial crisis of 2008 has given way to a proliferation of international agreements aimed at strengthening the prudential oversight and supervision of financial market participants. Yet how these rules operate is not well understood. Because international financial rules are expressed through informal, non-binding accords, scholars tend to view them as either weak treaty substitutes or by-products of national power. Rarely, if ever, are they cast as independent variables that can inform the behavior of regulators and market participants alike. This book explains how international financial law 'works' - and presents an alternative theory for understanding its purpose, operation and limitations. 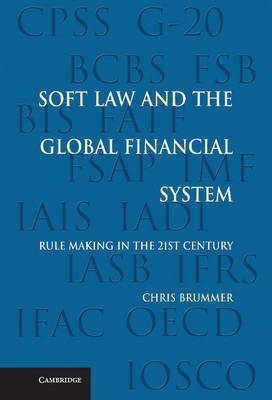 Drawing on a close institutional analysis of the post-crisis financial architecture, it argues that international financial law is often bolstered by a range of reputational, market and institutional mechanisms that make it more coercive than classical theories of international law predict.